Please join us for the 10th Annual Celebration of Faculty Scholarship. 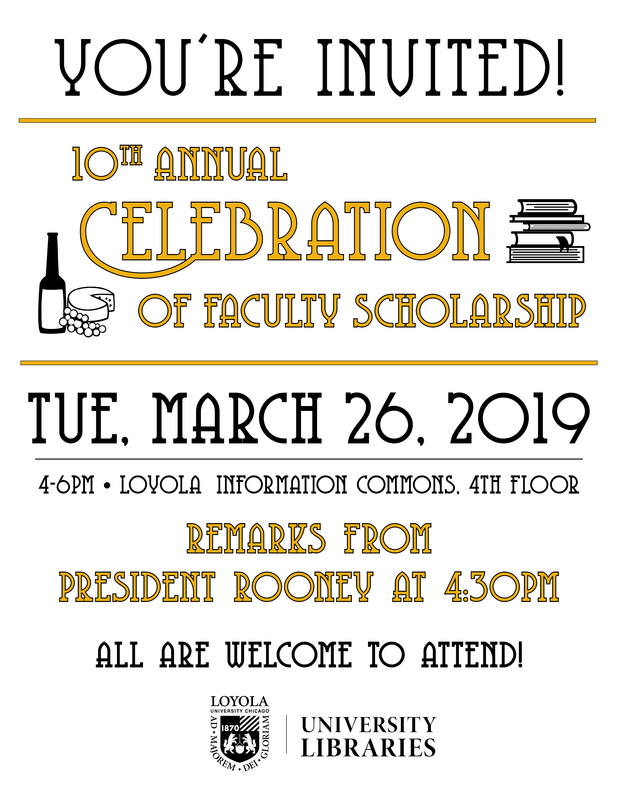 Enjoy refreshments, conversation, and a display of publications & scholarship by Loyola faculty from the previous year. President Rooney will give remarks at 4:30 PM. Faculty, staff, and students are all welcome to attend! Questions? Please contact Niamh McGuigan at nmcguigan@luc.edu.